Shooting for the World’s Most Efficient Bassin 4-Stroke Combo – Mission Accomplished. Introduction: Since the original interview article with Pro Angler Grant Goldbeck and the Allison team we received numerous inquiries on the results of the Allison / Yamaha Project. 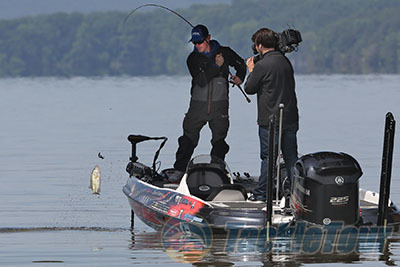 Tournament anglers were chewing at the bit to know just how efficient was the 4-stroke Yamaha and BasSport. Allison purported the project was not only a success. Testing parameters and results occurred just like Yamaha and Allison hoped. Professional angler, Grant Goldbeck participated in the project by running the hull in all Elite tournaments. “ This project was fun, really inspiring. I have been in many production hulls…all bass boat companies have something to offer their customers in familiarity and enjoyment. 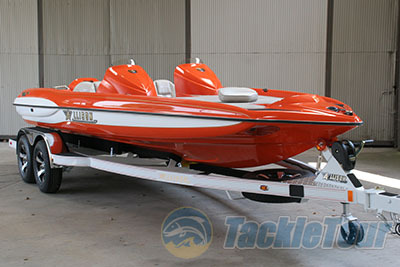 When it came to straight performance, rough water handling and efficiency, the XB21 hull technology blew me away! It's a completely different beast altogether” explained Goldbeck. Allison mentioned most regular production bass hulls range from 1400 to 2050 pounds. An addition, 250-pounds can change boats speeds by about 1 mph depending where the weight is positioned. 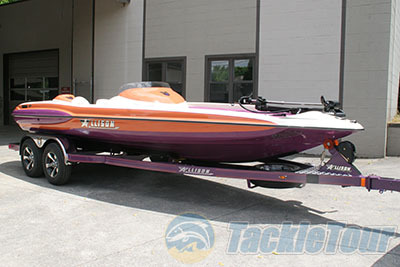 Hulls in the 1400 to 1650 lbs range are usually 18 to 19-1/2 feet in length usually rated for 200 to 225 horses. “They will run between 63 to 72 mph (with 200 horses). We can match their hull weight and run 82-plus mph with 200 horses, explained the 60 year old ultra performance company. Allison also mentioned that boat weights of the 20 and 21-ft production hulls has increased from years past. This is in part due to attempting to strengthen the boat. 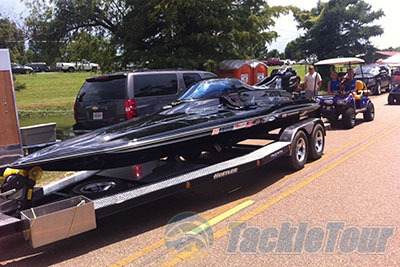 Allison also mentioned they were actually the first bass boat company to build a fully composite bass boat. “We accomplished this in the early eighties. Although, very expensive, we were able to create unitized super-structures increasing strength ratios yet keeping the boat weights down. For 30 plus years we have not had one transom failure”, mentioned Allison staff. The Yamaha SHO powerplant features a large displacement 4.2 liter engine, providing copious amounts of torque for climbing out of the hole. Its mid-range punch is a strong suit. Yamaha, also, saw weight as a factor in performance and was able to shed typical 4-stroke weights (exceeding 600-pounds). Yamaha’s 225 SHO weighs 505lbs near the same weight as its 3.0-liter. The results on regular production hulls has been better hole shot, mid range and even top end speed. So how did it do on the BasSport? 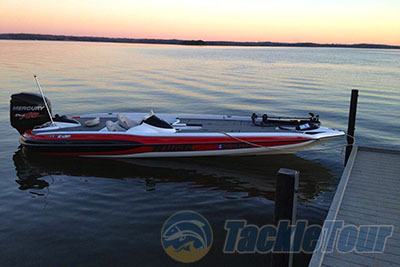 The SHO 225 mated to BasSport Pro ran some impressive stats that would breed envy in many other hulls. 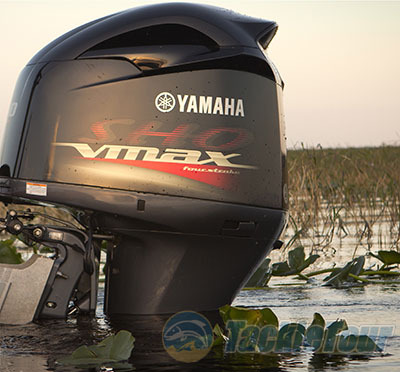 As predicted by the entities, The BasSport Pro and the Yamaha SHO 225 produced some of the most efficient four stroke numbers the industry has ever seen.